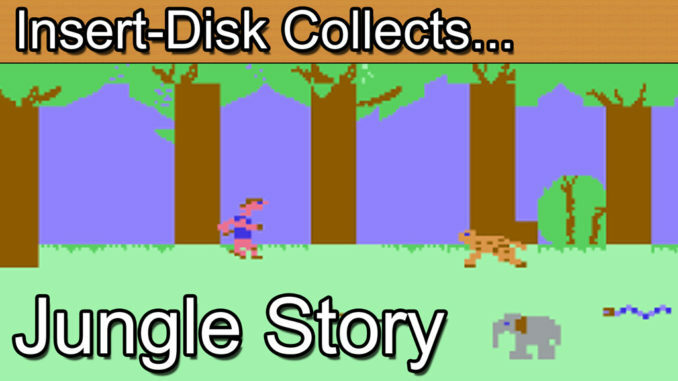 Insert Disk collects Jungle Story for the Commodore 64 (C64). Today’s retro game review is Jungle Story for the Commodore 64 (C64). This retro gaming classic is a real blast from the past. Jungle Story is simple yet incredibly nostalgic. Made with simple Commodore 64 Game Maker tools Jungle Story provides a quick dose of retro fun. Guide Mowgli through the jungle avoiding the monkeys, elephants and snakes. For extra points burn the tigers with fire. 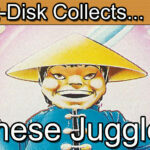 Greetings collectors and welcome to today’s retro game review. We’re travelling back to 1984 today to revisit a quite frankly terrible game for the Commodore 64.Strap your exploration boots on as we venture in to the undergrowth of gaming to explore Jungle story. Well, where to start with this one. Back in the early to mid-80’s young Commodore 64 users were looking for games to spend their pocket money on. For a quick fix of electronic action. Perhaps the best known solution provider was a company called Mastertronic and their now infamous 199 range. A set of games retailing at just £1.99 each. Essentially this was gaming on a budget that everyone could afford. However, the saying “you get what you pay for” was pretty much immortalised with the Mastertronic 199 range. After all, these were the people that responsible for bringing you such classics as Bionic Granny. One of my guilty pleasures covered in a previous episode). To set the scene its perhaps best to start with the opening screen of Jungle Story. Control Mowgli the man cub through the dense jungle that is his home. Avoid the many jungle creatures who are afraid of the fire that you possess. The many terrors you will encounter are: Tribal spears, poisonous snakes, stampeding elephants, cheeky monkeys and your hated enemy the tiger who you must burn with your fire. Ok, so this doesn’t sound too bad. Then you enter the game, and oh wow does it sound bad. 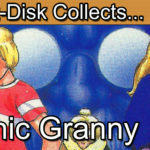 Unbelievably the game has an almost identical sound track as Bionic Granny. Yes, that’s right. The author was so proud they thought that we needed to hear more of those 4 bars of music again. The game is fairly simple. You’ll control your directions with the keyboard or joystick and have to avoid touching anything else. There is some variation in that you can throw a ball of what I assume is fire. It does absolutely nothing at all most of the time. However, as the prologue stated it will burn the tiger. Good to know. As you progress the score will count down. By burning the tigers you will increase your score and move to the next level. Which is, you guessed it, identical to every other level but with faster spawn rates of the enemies. How about those enemies, sure the snake is snake like, the elephant is looks surprisingly like an elephant. If it happened to be the same size as a snake. I quite enjoy the cheeky monkey. He’s not unsimilar from the demon from Ghosts and Goblins if you coloured him in red. The tiger, well to be honest I’d say looks more like a leopard due to the spots but hey for 199 beggars can’t be choosers. I do have to go back to that opening line of the game though. “Control Mowgli the man cub through the dense jungle that is his home”. Dense jungle? This is a jungle so sparse the same 4 animals can’t help but be everywhere no matter how far you run. As for the trees, call me cynical but the perfect right angles and even spacing don’t exactly scream 100% time and effort spent on this one. Perhaps this is one of the interesting elements though. 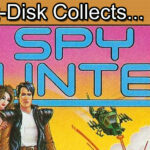 This game wouldn’t have taken long to make at all to the Commodore 64’s secret weapon. “The Games Creator”. This was a piece of software where you could easily throw together a game with an easy to understand creator interface. The creator let you customise movement, rules, tune, effects, scenery sprites and the player. This was programming without the need to know any code. As you might imagine, Mastertronic could allow its creators to pump out vast quantities for the 199 range. Some good, some not so good. They were a bit like busses, if you didn’t like one there would be another one round in a minute. To Commodore 64 owners of the 80’s the chequered blue on black cases became a cornerstone of the system. A slightly embarrassing cornerstone that we can now look back on with fond nostalgia. Even at 199 though the Mastertronic games became hard to push to gamers. By the end Bionic Granny and Jungle Story were sold in a duo pack for 199. I did have a good chuckle when researching the prices of the duo pack online. This optimistic German is offering a buy it now price of £15.01. The reality is that the game is practically worthless. Whilst not all Mastertronic games in the 199 range have lost value since their release Bionic Granny and Jungle Story most certainly have. If you’re looking to collect these titles then expect to pay almost nothing. If you must collect the physical edition of Jungle Story then you will at least find a decent package. The cover art is reasonable and the overall cassette presentation is everything that you would expect from a Mastertronic release. Jungle Story is a game that was very much made out of opportunity. 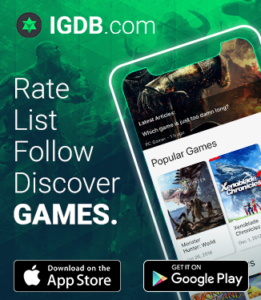 Thrown together to fill a hole in the market for affordable gaming. The game is repetitive in nature and the sound will drive you crazy but there is a certain charm to it. Although you can show someone the entire game content in under 5 minutes it does take many of us back to a time when gaming was a different time. This cheap and almost disposable iteration of gaming could be picked up, enjoyed and then placed back in its case. A quick fix of fun with your friends. It was a simpler time and although I can’t defend that I’d want to spend much longer with Jungle Story I’m very pleased to have had the opportunity to play with this one again. If you’re a retro gamer with a passion for the 80’s I think you’ll experience something similar if you decide to boot up Jungle Story.